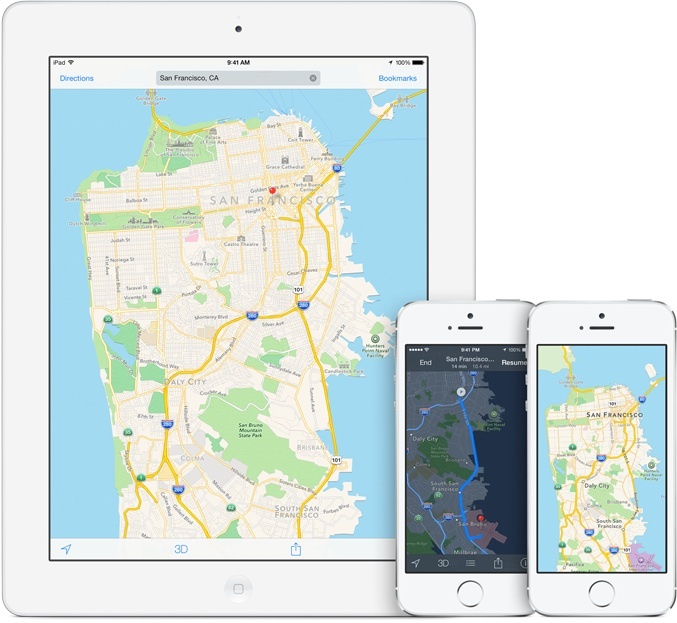 Apple's Maps has been the subject of a significant amount of criticism since its launch with iOS 6. Apple had replaced Google Maps data with their own map data which had comparably worse coverage, especially in international markets. There had been enough outcry that Apple CEO Tim Cook posted an open letter apologizing for Apple Maps. There had been hopes that the Apple Maps application would be improved with iOS 8 but internal politics were said to have delayed those plans. Still, Apple does seem to making efforts to improve their mapping data. In April, they started deploying notifications to let users know when problems had been fixed. Over the past month, I've noticed a TON of changes. POI markers are being moved to their correct locations, names and information for POIs are being corrected, and tons of places are being added that simply weren't there before. I don't know if it's merely coincidence, but A LOT of these changes are the exact ones that I've been reporting to Apple. And I've noticed this happening on a weekly cycle. It seems like every Friday, a whole bunch of new changes are implemented in my neighborhood. All week, nothing happens, but then when I check on Friday/Saturday, I see that many of the suggestions that I had made during the week were suddenly implemented into the map, and its POIs suddenly look a whole lot better. The same user also posted to Reddit, where several others have confirmed the same improvements in data and quick turnaround time with corrections. Apple has made number of mapping-related company acquisitions in the past year, including Broadmap, Hopstop, Locationary, and Embark, and it's likely those acquisitions will be bundled into a future Maps update. I understand why people *wanted* Apple Maps to begin its public life as a perfectly formed service but I don't know why people *expected* as much. It is great that they are making clear strides and I expect that they will keep it up. I have had more problems with the service than I would like but I think it works pretty well overall. the problem with a service like Apple Maps is trust. Once you get burned by it, you are going to stop using it and it takes a lot to get that trust back. Google's data is still 100x better than Apple's. And we're talking the basics. It's all because Google has a world class map editing system that anyone can signup and use. Hopefully Apple will implement something like this. As soon as Apple maps was released, Google FINALLY magically was offering turn by turn on the iPhone. That move alone made Apple maps worth it for me. With that said, I've never had any problems with Apple maps either when I've used it, but I'm glad they are continuously improving it. I still use Google though. Apple maps still has a while to go. An example is that saw a concert earlier this month at the PNC Bank Arts Center (a pretty well known amphitheater) and I wanted directions to the venue. While Google Maps pulled it up right away, Apple Maps didn't recognize the name of it at all. Edit: And I reported this several times a few months ago. It's always been good for me. Slightly better than Google Maps, in fact. It hasn't given me bad directions, but its search is bad, often forcing me to give an exact address to go somewhere that Google Maps can find just by a street name or POI name. This. This. This. This is the absolute worse aspect of Apple Maps. Apple Maps is as stupid today as it was 2 years ago. I've been on vacation in the northern part of the UK this week and let me tell you POI locating is TERRIBLE. It couldn't find my B&B and obviously google maps finds it perfectly. Directions are okay, navigation is excellent when compared to google maps. Apple maps are incredibly light on battery when compared to google while navigating which I like. Once Apple gets it's POI locating down I'll switch to it full time. I do like Apple Maps, but overall I still find Google Maps to be much more thorough and consistent. A couple of examples...the elementary school four blocks from my house shows as a middle school, one that was closed down MANY years ago. I've submitted the correction at least four times, but Apple doesn't seem to have taken notice. Another example is a KFC that still shows up, even though it too has been closed for several years...and replaced by one about a mile away that does NOT show up. I do hope that Apple continues to update and refine, although it seems like they still have a long way to go to come close to Google's offering. Google Maps tried to take me to the wrong destination 10 miles off a week ago in Yucca Valley, California, while Apple Maps gave me the correct location, and it also gave me wildly inaccurate ETAs in Los Angeles while Apple Maps gave pretty accurate ETAs. On the East Coast, I used both as testing and always got good directions from both (except that Google Maps misspelled a street name once). So I trust Apple Maps a little more. Because the Google Maps app is also laggy, won't work with Siri (yet), seems to tell me to turn a little late, and requires like 5 buttons of confirmation to start navigation, I don't even have it on my phone anymore and rely on the stock iOS 7 Maps app. Google is so far ahead of apple maps it's embarrassing and they're pulling further ahead every day. In countries other than the US it's even more lopsided. Apple is in way over its head on this one. Way out of their league.